Two rescuer CPR is more efficient and most likely what you will be using in a hospital situation. There are several benefits of 2 rescuer CPR. Delays between sets of compressions can be greatly minimized. Another benefit is that we can tell if the compressions are effective by checking the carotid during compressions. One rescuer will give ventilations while the other will give compressions if necessary. The rescuer giving ventilations will be in charge. 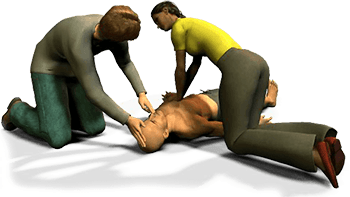 He or she will assess the victim and let the other rescuer know if CPR is necessary and if compressions are effective. It is important to communicate during 2 rescuer CPR. Talk out loud, especially during compressions so there is no confusion between the rescuers. Assess victim and provide ventilations when required. Check carotid for effective compressions. Good compressions will cause a rush of blood through the carotid. If not, instruct other rescuer to go deeper or re-landmark. Re-assess victim. Check for a pulse. If no pulse, instruct other rescuer “No pulse, continue CPR”. Provide compressions. Maintain hand position on chest at all times but do not press on chest while other rescuer is ventilating victim unless victim is intubated. Eventually the rescuer doing compressions will become tired. At that point he or she may want to change positions with the other rescuer. It is up to the rescuer doing the compressions to call for a change. RESCUER 2: Call for change at beginning of compression cycle by saying “change, two, three, four…….. thirty” After completing the cycle, move up into position to provide ventilations. Re-assess the victim and tell other rescuer if CPR is necessary. RESCUER 1: After other rescuer completes compressions, finish cycle by providing 2 ventilations and then switch positions with other rescuer. Place hands on victims chest and wait for other rescuer to re-assess victim and tell you if CPR is necessary. 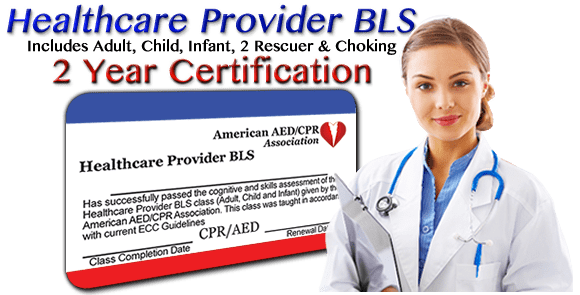 Two rescuer CPR for children and infants is usually only done in a hospital setting. For children the ratio of compressions to ventilations changes to 15:2. All other aspects are exactly the same for children and adults. 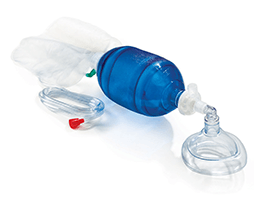 For infants, 2 rescuer CPR is only done when the victim is intubated or when a infant sized bag-valve mask is in place. Compressions for 2 rescuer CPR on an infant can be done by encircling the victim's chest with both hands and compressing with your thumbs.